My traveling companion and I were exploring the bush one afternoon in a newly established game reserve in S. Africa that did not include any dangerous predators. This was a unique opportunity to encounter all sorts of African wildlife while on foot, armed only with a camera. As we were finishing a long hike and nearing the Kwalata Camp, a towering bull giraffe crossed the dirt road right in front of us. Our jaws dropped. 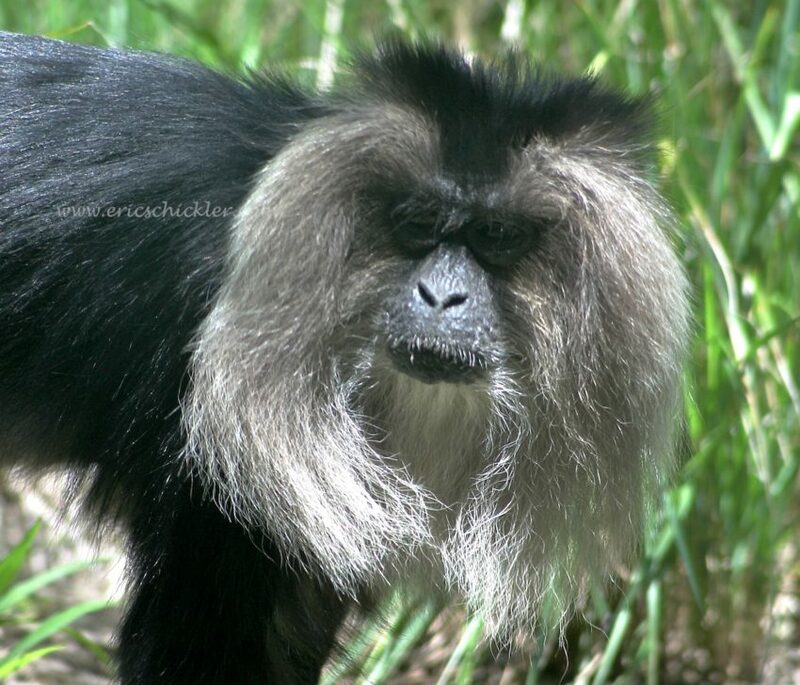 He paid us little attention, elegantly ambled back into the bush, then paused to pose for a few preliminary photographs. After he moved on and away, I slowly followed him with my camera, hoping to get a few more shots of him and his dark brown coat, immense height and powerful legs. 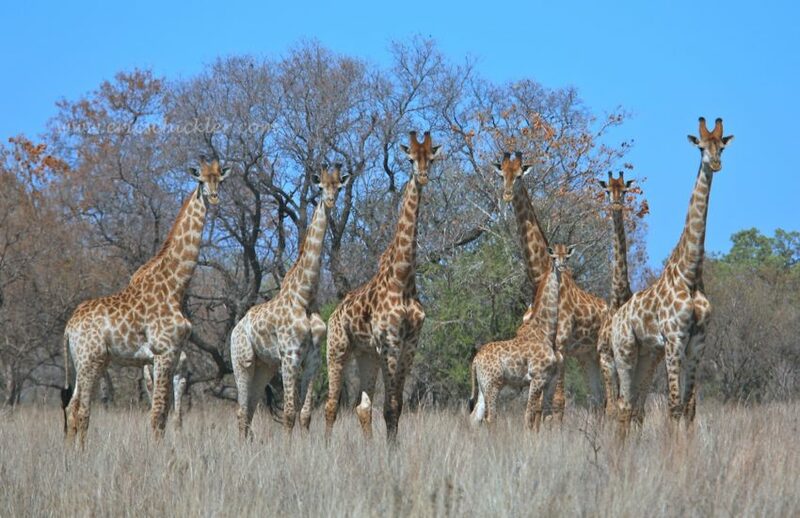 In mere minutes, I was astonished to see he had joined his tower of nearly 14 other giraffes. I saw females and adolescents and baby giraffe calves. They let me get near enough to capture several dozen good images. The bull was always out front, closest to me and ever vigilant, guarding the others. This was one of my favorite photos from that unforgettable 90 minutes I spent completely alone with 15 South African longnecks. 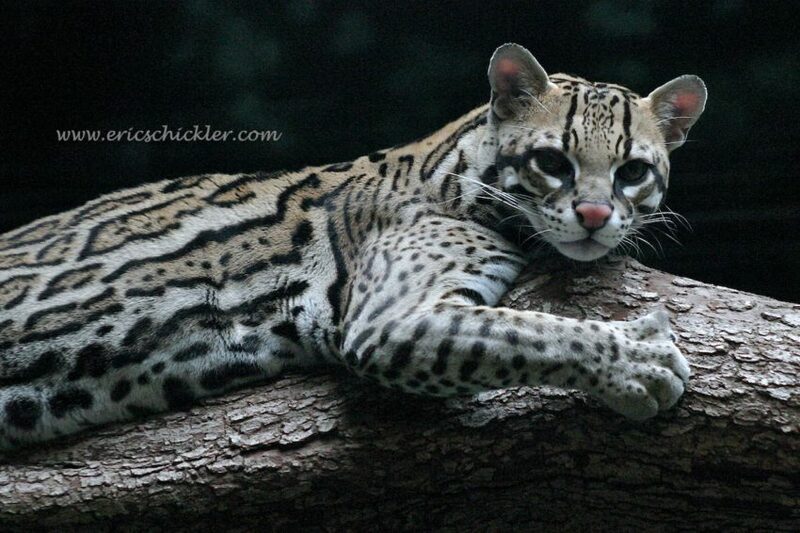 This Ocelot resides at the Woodland Park Zoo in Seattle. Ocelots are small spotted cats found in Mexico, Central and South America to northern Argentina, with remnant populations in the southwestern United States. The secretive, nocturnal cats are three to four times the size of an average domestic house cat, weighing on average 24-35 pounds and averaging 2½-5 feet in length. They may be found in several different kinds of habitats, from jungle areas and tropical rain forests to dry scrub and chaparral zones. In the wild, the endangered ocelots continue to lose ground with their ever-shrinking habitat and black market pet trade. 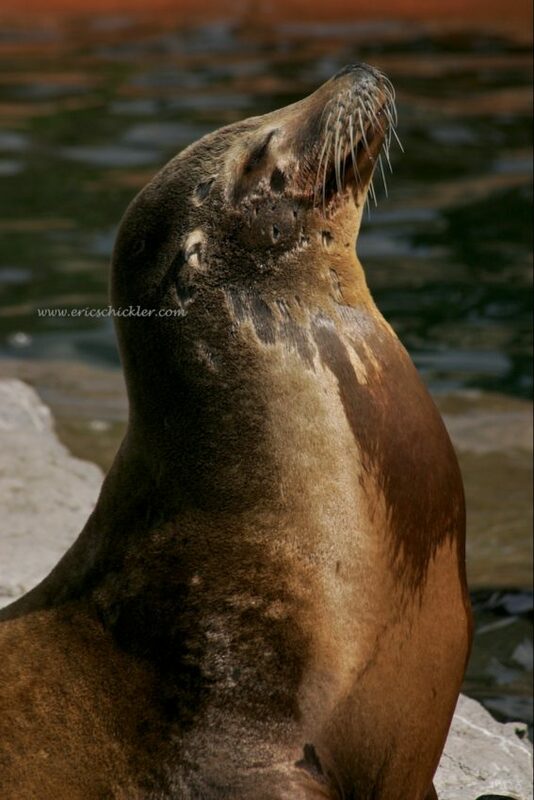 Today, only 100 or so are thought to remain in the wild in the U.S. Another 100 reside in zoos. This Grizzly Bear looks wild, but is actually a resident of the Woodland Park Zoo in Seattle. 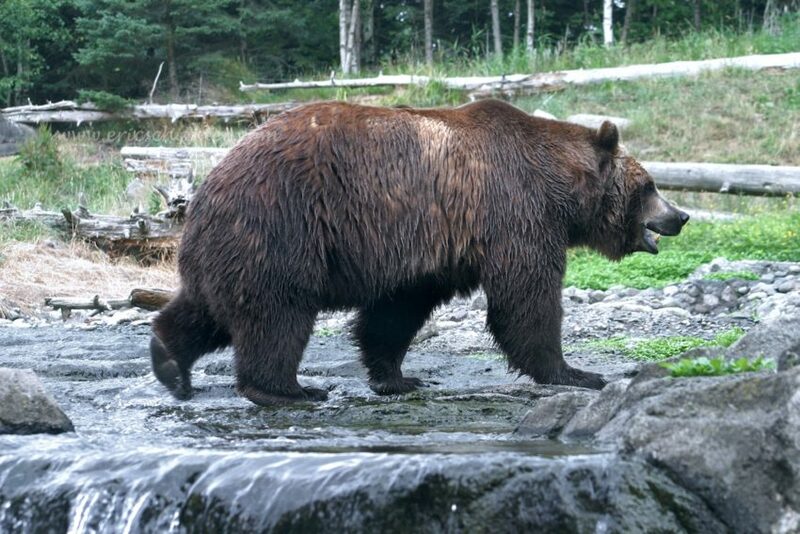 The zoo used their existing natural terrain to create an environment for the bear that resembles his surroundings in the wild. 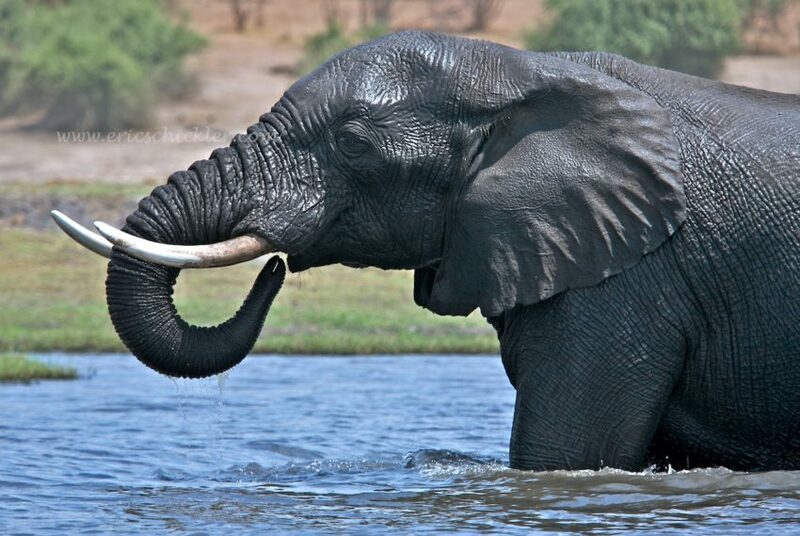 Botswana is home to the largest concentration of elephants in Africa and the world, numbering nearly 130,000. Kasane, a town at the far north-eastern corner of the country, is very close to Africa’s “Four Corners,” where four countries almost meet: Botswana, Namibia, Zambia and Zimbabwe. This small town of 7,638 people (2001 Census) drew brief international fame when Richard Burton and Elizabeth Taylor remarried there in 1975. During the dry season in the Chobe National Park, elephant herds and independent bulls make daily treks to the river to drink, and feed on the lush vegetation that is found only near water sources. Our river guide pulled our small boat within 40 feet of this magnificent animal. This is one of my favorite bull elephant images because of the detail that can be seen in the hide, and his perfect pose while drinking. I glanced out my window and saw something scoot out of the woods and onto the adjacent golf course. 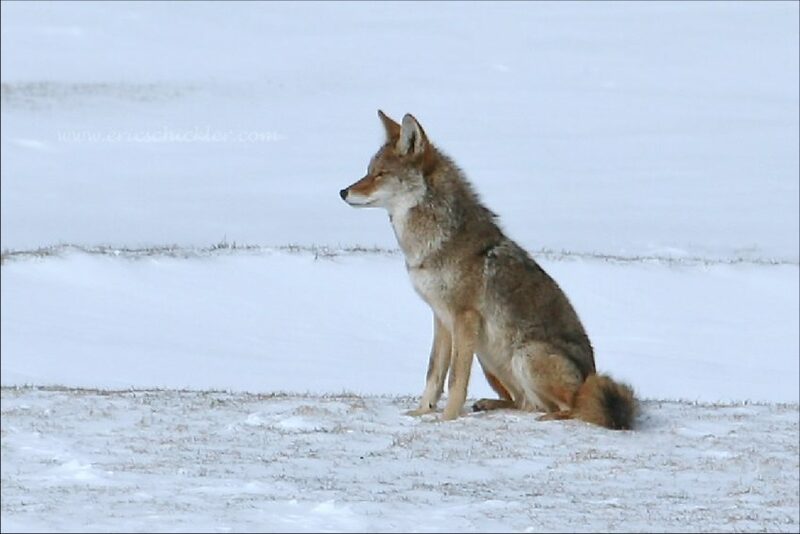 Was that a cat, a dog, a really big squirrel or a coyote? From 300 yards away, I couldn’t tell. Then she turned and headed all the way to my property and up to the edge of my deck. Obviously looking for food! 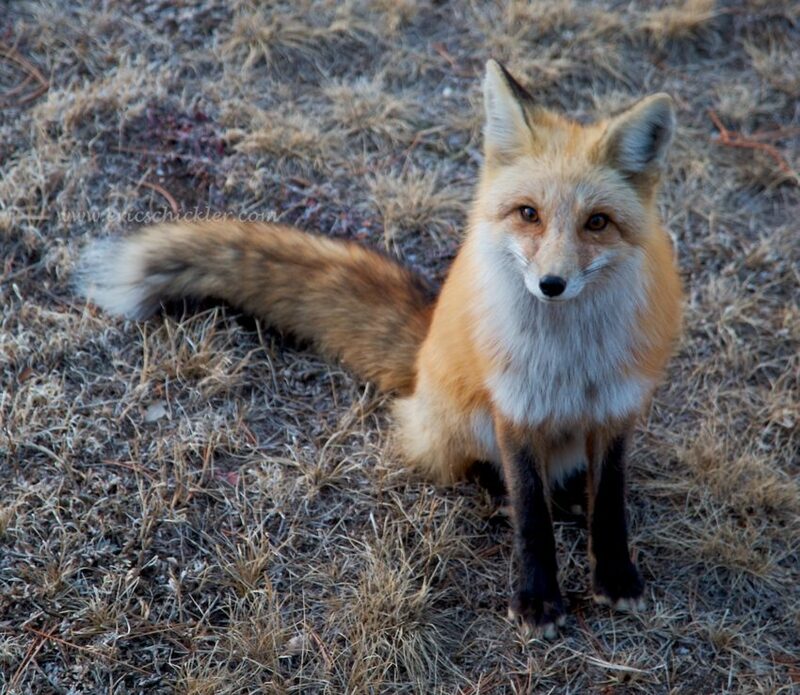 No fox looks at me with those syrupy eyes without ulterior motives. She stood still long enough for me to get my camera and snap 3 or 4 good shots. I bet you can name five people right now who this character reminds you of. Admit it. Someone in your area who passes by every night on his Harley? A guy who works at the carnival? The dude who paints your house? The man at the DMV office? The man in the hallway at your mother’s nursing home? Your ex-husband? 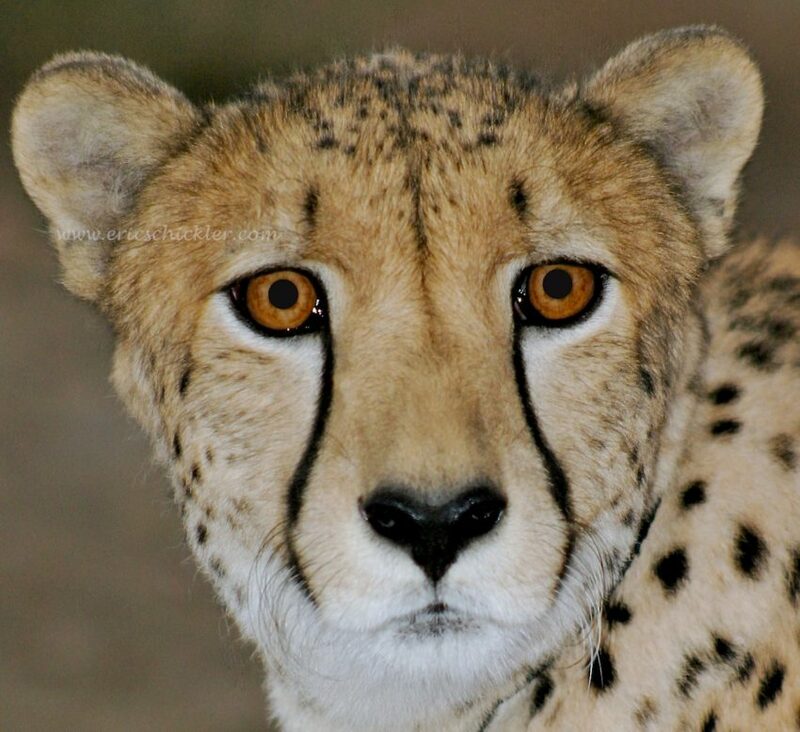 Cheetah – The World’s Fastest Animal. 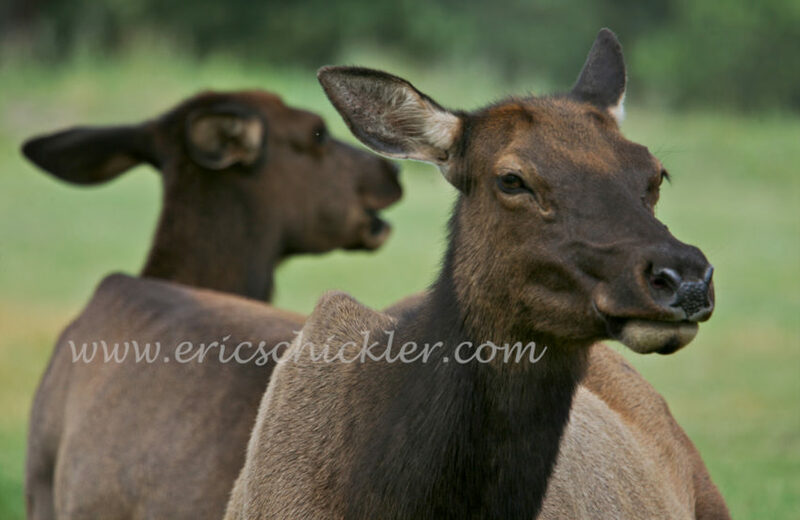 I had the privilege and joy of following a herd of mother elk and their new calves last spring. They had just made their debut a few weeks earlier and I wanted to get close for baby pictures. I was able to gain their trust after an hour or so as I followed them up a mountainside. Before long I was sitting within 15 feet of a mama elk and her calf, snapping away and having a wonderful chat with them. 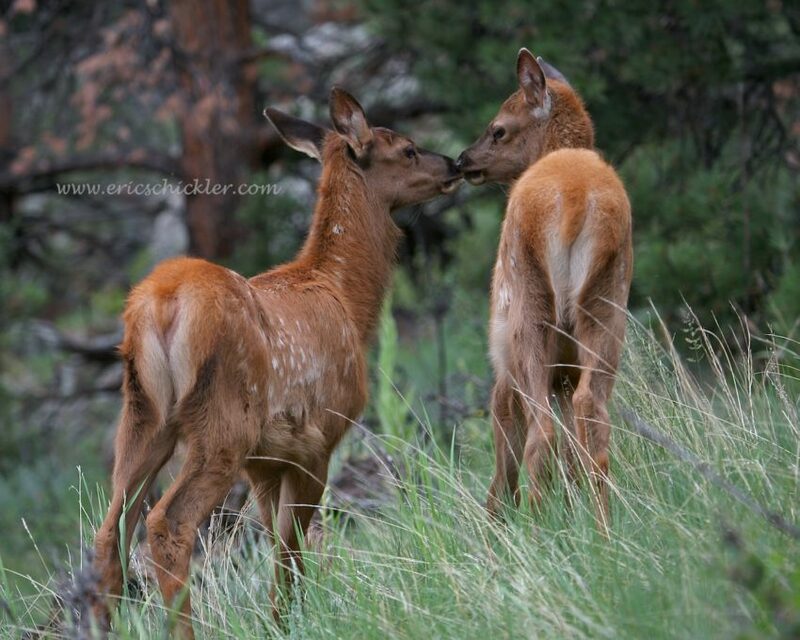 This scene –”The Kiss” — was one of the highlights of that rewarding spring morning. 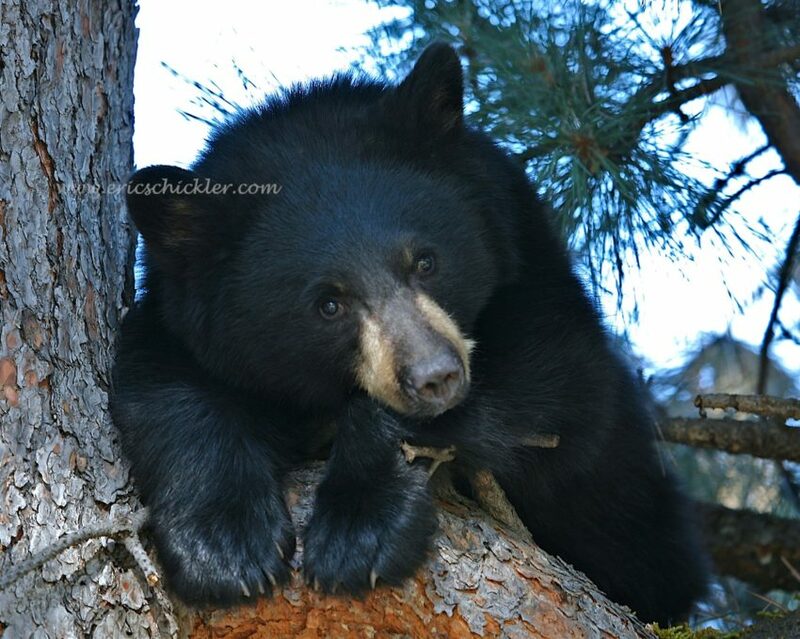 This bear cub was making a pitiful, rather disturbing bleating sound and feeling a bit sequestered up this tree, just a 100 yards from my house one autumn morning. Quandary Peak – Summit County, Colorado. Rocky Mountain Goats are a regular attraction for hikers on 14,265′ Quandary Peak, in Colorado’s Ten-Mile Range. Their cliff and ice-climbing abilities are astonishing. Don’t get too close, though. They move quickly, sport very sharp horns, and like most mammals, are very protective of their young.